A detailed Taipei nightlife guide to hot jazz clubs, music lounges, and chilled hangouts, by Liz Tsai and more from Smart Travel Asia and Dancing Wolf Media. Will you still be standing after trawling these Taipei bars? Well, at least cabs are never a problem. Dining, dancing, and even some late night shopping. NONE of the busy energy that hums through the crowded streets of Taipei City during the daytime is lost when the sun recedes behind Taiwan’s lush, rolling mountains. As the last ebbing rays dance on the surface of the two rivers coursing through this basin city, residents change gear and come out to play. The brash and bawdy Combat Zone with its seedy bars and leggy women more interested in commerce than conversation has faded into oblivion with city upgrades, but there is much to sample for travellers of all stripes. We walk you from the innocent to the insane. A full stomach is a critical part of a fun night out in Taipei, and this multi-cultural metropolis suffers no shortage of restaurants. From local to international to fusion, various Asian cultures collide in the cuisine of Taipei. Thankfully, the notoriously bad traffic in Taipei (just a very minor niggle by Asian standards) is mitigated by the convenient public Mass Rapid Transit (MRT) system that usually puts people within walking distance of their destination. Visitors to Taipei City usually clamour to sample the xiao long bao – small steamed buns – at Din Tai Feng (tel: [886-2] 2321-8928, www.dintaifung.com.tw), arguably one of the most famous international restaurant franchises from Taiwan. The original restaurant started in 1958 and still stands on Xinyi Road by Yongkang Street. Din Tai Feng's storefront is impossible to miss, as there is always a steady stream of customers lined up out front. For those who simply must have a taste of Din Tai Feng's soup dumplings but don't have the patience to wait for a seat at the Xinyi location, the restaurant has four other branches in the city. To the east is China White (tel: [886-2] 2705-5119, www.chinawhite.com.tw, 97, Sec 2, Dunhua South Road), where the décor is – as its name hints – white, everywhere. 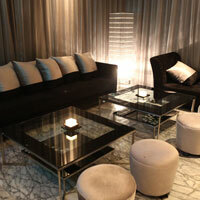 The ivory walls and furniture give the establishment a pristine, chic look that appeals to young professionals. As the evening dinner hour extends into late night, this Asian-Italian fusion restaurant turns into a popular spot for those looking to throw back a cocktail or two. A few blocks north is FiFi (tel: [886-2] 2721-1970, www.isabelle-wen.com/wenfifi, 15 Sec 4, Renai Road), owned by local designer Isabelle Wen. The building is a unique combination of boutique markets, restaurant and bar. Patrons can easily spend an evening shopping in FiFi's Market on the first floor, head up to the second floor for Chinese cuisine, then relax with a cocktail on the balcony of W Bar (tel: [886-2] 2779-0528) on the third floor, above the din of city traffic. If you're interested in taking in an incredible aerial view of the city with dinner, the Taipei 101 – one of the tallest buildings in the world – has a couple high-altitude restaurants for you to choose from. This is especially convenient if you happen to miss the building's observatory hours (10am to 10pm). For Taiwanese flavour, there is Shin Yeh (tel: [886-2] 8101-0185, www.shinyeh.com.tw) on the 85th floor. To really enjoy the restaurant's array of delectable eats, it's best to go with a group of four or more as servings tend to be quite large. Also on the 85th floor is another extraordinarily large mouthful – Diamond Tony's Panorama Fusion Cuisine Dining Pub (tel: 8101-0016, www.diamond-tony.com.tw). Diamond also offers another outlet located more conveniently on the 4th floor of the shopping mall. Also among the varied choices in the shopping mall section at Taipei 101 are Simple Table Alleno Yannick, otherwise known as STAY (tel: 8101-8177), which features exquisite French cuisine through the sharing table concept, and the Hunghwa Teppanyaki Steak House (tel: 8101-8128). Just a block away is the luxury shopping mall Bellavita (tel: [886-2] 8729-2771, www.bellavita.com.tw, 28 Songren Road) where you'll find upscale dining establishments such as L'atelier de Joël Robuchon (tel: 8729-2628, www.robuchon.com.tw) on the 5th floor. Although on the pricier end of the dining scale, the excellent service and fine French delicacies are well worth it. 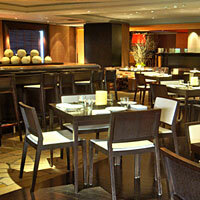 Joël Robuchon offers many delights that will quickly put patrons in a gastronomic stupor. Other eats inside the Bellavita include the Hawaiian restaurant Haleakala (tel: 8729-2868, www.a3restaurant.com.tw/haleakala) on the 4th floor, and Ton Sushi (tel: 2722-2888), a restaurant on the sixth floor that prides itself in its artistic plating and creative meals. Although the food court of a shopping mall isn't normally an area that garners much interest, indecisive groups visiting Bellavita may want to try the We Share Everything Dining Area. This section is a crowd-pleaser. Choose food from different restaurants within the Gourmet Food Hall in the B2 level, and wait for meals to magically appear at your shared table. With the large Japanese community in Taipei, it's no surprise that the city is flush with Japanese restaurants. If you're interested in some entertainment while you eat, taiko drumming performances are regularly staged at Dozo (tel: [886-2] 2778-1135, www.dozoizakaya.com, 102 Guangfu South Road), not far from the Sun Yat Sen Memorial MRT station. This spacious and modern izakaya offers an assortment of inventive cocktails as well as beer, wine and saké. Around the corner is MOE (tel: [886-2] 2731-1750, 24 Lane 116, Guangfu South Road), a cozy do-it-yourself charcoal grill restaurant. A detailed chart on the menu helps customers pick the right ingredients for their grill. Don't be surprised if waiters step in from time to time to do the grilling for you if they deem your technique too amateurish. Mitsui (tel: [886-2] 2595-2099, www.mitsuitaipei.com.tw) is a high-end Japanese restaurant that gastronomes must visit. The locations on Anhe Street and Dunhua South Road are probably the most convenient, and there are other branches scattered throughout the city. Although pricier than many other Japanese restaurants, the multi-course selection of intricately prepared fresh seafood is well worth it. Do make sure to bring along a hearty appetite as Mitsui doesn't skimp on quality or quantity. Shintori (tel: [886-2] 2735-2288, www.shintori.com.tw, B1, 191, Sec 2, Anhe Road), another Japanese fine dining establishment, is as famous for its cuisine and as its mysterious architecture. When you arrive, the entryway is hidden from the street. After descending an industrial-style flight of stairs past clusters of bamboo trees, hungry patrons will come to a large, steel door. But alas, the doors do not have handles and will not open with a simple nudge. Hint: Examine the stone column to the right. Another branch of this restaurant is located on Section 1 of Jianguo North Road. Galerie Bistro (tel: [886-2] 2558-0096, www.galeriebistro.com, 2 Lane 25, Nanjing West Road) is a charming little establishment located right by the Zhongshan MRT Station that serves up a menu of French, Italian and American cuisine. The restaurant attracts a sophisticated crowd that delights in the savoury and sweet crêpes. Galerie Bistro is an experience in itself. The restaurant is housed in a whitewashed European-style home – where the owner grew up – dating back to 1931. 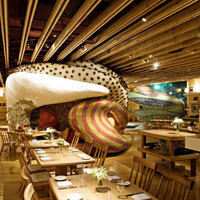 The ensemble serves as a restaurant as well as an art gallery. If you feel like escaping the commotion of the city, check out the aptly named The Top (tel: [886-2] 2862-2255, www.compei.com, 33, Alley 4, Lane 61, Kaixuan Road), which is nestled into the side of Yangmingshan Mountain. Although the menu is a selection of basic fried foods, steamed dishes and hot pot selections, the venue is popular for its romantic setting for couples to admire the panoramic views of Taipei from afar. However, remember to make reservations beforehand to avoid a long wait after climbing the mountain to get there. 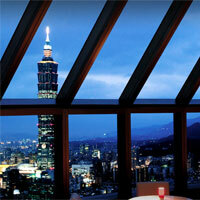 If you're not keen on wandering too far from your room, don’t worry, Taipei bars are aplenty at all top hotels. Ziga Zaga (tel: [886-2] 2720-1200 ext. 3198 or 3199, www.taipei.grand.hyatt.com) on the second floor of the Grand Hyatt is a stylish restaurant and bar that is the ideal place to enjoy a few cocktails with good company while listening to nightly live performances. High above the city on the 38th floor of the Shangri-la Far Eastern Plaza hotel are the Marco Polo Restaurant (tel: 2376-3156, www.shangri-la.com/en/property/taipei/fareasternplaza) and Marco Polo Lounge. The restaurant serves up elegant Italian cuisine while the lounge is an intimate space for a nightcap with a spectacular view over the city. Regent Taipei (formerly Grand Formosa Regent) is home to the stylish Gallery lounge bar and a range of restaurants, including azie (www.regenttaipei.com), which serves a fusion of Asian and Western, and Brasserie, with tables groaning under the weight of a*n all-you-can-eat buffet. Sipping your liquor of choice at Henry's Bar (www.sherwood.com.tw/en) at the Sherwood, the deep leather furniture and warm atmosphere will transport you back to the early 1900s. Done with that stodgy wee dram? Head to the hip and trendy W Taipei for food and drinks at Woobar (www.wtaipei.com), which looks out over WET, the outdoor pool on the 10th floor sky deck. Beachwear and bikinis are welcome at this unrestrained Taipei hot spot. 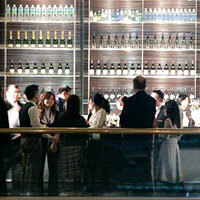 High up on the 31st floor of the W Taipei is Bar at Yen that overlooks the Xinyi District. Innovative Asian-style tapas are served here along with dozens of varieties of whiskey, cocktails and wine. Should you feel like mingling with the masses, take the MRT over to the Zhongxiao Fuxing MRT Station, and stroll eastward down Zhongxiao East Road. There you'll find not one, but two Sogo department stores which, despite being adjacent to each other, draw vast crowds. Neon signs illuminate the bustling street during the evenings and crowds always throng the area no matter what state the economy is in. 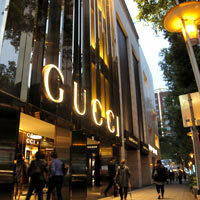 The real finds, however, are hidden in the back alleys just north and south of Zhongxiao. There, Taipei shopping comes alive with boutique windows and stalls filled with apparel and trinkets imported from South Korea and Japan. And, if you're in the good graces of the store owner, you may even score a surprising discount. A popular place for weary shoppers to recharge with a sweet drink is just one street north of Zhongxiao and east of Dunhwa North Road. A row of bubble tea shops runs along here, each establishment boasting lengthy menus with everything from the traditional pearl milk tea to other fruity and floral concoctions. On Tap (tel: [886-2] 2741-5365, www.ontaptaipei.com, 21, Alley 11, Lane 216, Zhongxiao East Road), on the other side of Zhongxiao, claims to be Taipei's “only real pub”, but that's for you to decide. This western-style establishment is perfect for rowdier groups who want to down a few beers and ciders while enjoying burgers and greasy grub. Go during happy hour (5pm-8pm) and try your hand at the dart boards on the ground floor, shoot some pool downstairs, or simply snag a seat at the bar to catch the game. Also visit Opus (tel: [886-2] 2781-2211, www.opus-taipei.com, 104, Sec 4, Civic Boulevard), a sleek two-storey bar and lounge; a great venue for small groups that need a space to sit down and sip a few drinks without overwhelming bass beats. Another interesting recreational area is Ximending, which was one of the earliest Taipei shopping districts. It stays busy day and night. Located in the western Wanhua District, one of the oldest areas, Ximending is a fascinating amalgam of modern and ancient. Originally set up as an entertainment district during the Japanese occupation, Ximending has morphed into brightly lit frenzy of shops and streetside vendors that are heavily influenced by local, Japanese, Korean and western pop culture, with many tattoo and piercing parlours also scattered in between. The best way to get around this area is on foot, as vehicles are usually prohibited, and the streets are often densely packed with hundreds – if not thousands – of teenagers and young adults scouring the stores for bags, accessories, technological gadgetry, comic books and trinkets. The section of Wucang Street west of Kungming Street is also known as “movie street”, where theatres line both sides of this particular pathway. Despite the proximity, each cinema still manages to draw a crowd. Street artists often dominate main intersections of Ximending, entertaining passersby by showing off their improvisational rapping and dance moves. If you appreciate a performance, remember to leave some money in their buckets and boxes. One of the most prominent reminders of the Japanese occupation is The Red House (tel: [886-2] 2311-9380, www.redhouse.org.tw), located conveniently across from Exit 6 of the Ximen MRT Station. Built in 1908 as a public market, the octagonal red brick building is now a protected historical site. Cultural and artistic events are regularly held here and visitors can often catch live theatre or music performances. On the other side of The Red House is Riverside Live House (tel: [886-2] 2370-8805, www.riverside.com.tw ), host to a wide variety of talented up-and-coming musicians. Don't forget to sample some of the local delicacies in Ximending, and look for a restaurant on the corner of Zhonghua Road and Wucang Street bearing a big yellow sign with red lettering. This restaurant, established in 1950, is popular among many local residents who return again and again for its signature duck dish. Meanwhile, KMY (tel: [886-2] 2331-2587, www.kmy1973.com.tw, 1 Alley 3, Lane 82, Sec 2, Wucang Street), which has been around since the 1970s, is famous for its fried spareribs and chicken leg over rice. Both venues are far from fancy, but provide a sense of childhood nostalgia for many older generations of Taiwanese locals. Most people snack while they shop or pop into the nearest available restaurant for a quick bite while meandering through Ximending, but if you're looking for an unusual place to eat, try Modern Toilet Restaurant (tel: [886-2] 2311-8822, www.moderntoilet.com.tw, 7 Lane 50, Xining South Road). The restaurant is a perplexing establishment that combines eating with, well, the John. The entire space is potty-themed. Patrons sit on fake commodes, dine off miniature lavatory bowls and drink from portable urinals – clean ones, of course. Most visit for the novelty rather than the bog-standard food. The place may be gastronomically unsatisfying but it does present some unusual backdrops for fast-clicking Facebook shutterbugs. The crowds on Zhongxiao Road and the Ximending area are nothing compared to the swarms of people who pack Taipei’s two major night markets – Shilin and Shida – where you’ll find a lot more than just cheap food stalls and trinket sellers. Shilin night market, right by the Jiantan MRT Station, is a popular destination for tourists and locals alike. Simply walking through it is an assault on the senses. Bubble tea, candied tomatoes, or – if you dare – stinky tofu, are convenient distractions while perusing the wide variety of clothing, jewellery, toys and knick-knacks on display. Beware of the illegal hawkers who line the middle of the street. If a police officer is making the rounds this “mobile” section of the market scatters at great speed. Make sure you are not in the path of this instant diaspora. The Shida night market, closest to Exit 3 of the Taipower MRT Station, is arguably the trendier of the two evening shopping haunts. Clothing stores carry more contemporary and fashionable garb. Among all of this, mostly catering to the students who study at the nearby university, are lively bars and pubs. The 45 Pub (tel: [886-2] 2321-2140, 2F, 45 Heping East Road), is popular among expats. 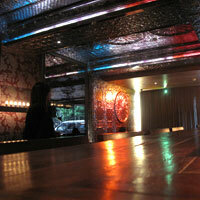 It is a comfortable place for a beer break and some alternative music spun by DJs. Without any obvious banners and located on the floor above an herbal medicine shop, 45 Pub can be hard to find, so remember to keep looking up for telltale signs. Another excellent watering hole is Underworld (tel: [886-2] 2369-0103, www.underworld-taipei.blogspot.com, B1, 45, Shida Road), located right in the middle of the Taipei night market action. Colourful murals on the walls and the chatter of friendly regulars creates a vibrant atmosphere. This is a must for people in the know. Fun and happening. Finally, don’t miss the many Roxies. Hard to keep them straight, but here’s a starter guide: There's Roxy 99 (tel: [886-2] 2351-5970, www.roxy.com.tw, B1, 218, Sec 2, Jingshan South Road) and Roxy Rocker (tel: [886-2] 2351-8177, B1, 177, Sec 1, Heping East Road). Roxy 99, which takes pride in its no-frills atmosphere, regularly pumps out an eclectic mix of old pop, rock and jazz. Roxy Rocker, just a few blocks east, is a cozy bar scene boasting wall-to-wall shelves filled with vinyl classic rock, alternative and metal records for patrons to peruse, select and play. Anhe Road is the place to go for a Taipei bar scene. 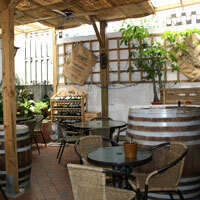 Carnegie's (tel: 2325-4433, www.carnegies.com.tw, 100 Sec 2, Anhe Road) is a bar and restaurant often frequented by expats. Parties and events are common and, when the atmosphere gets really gets rowdy, it isn't uncommon for the more audacious to simply jump on the bar to dance. Sappho de Base (tel: [886-2] 2700-5411, www.sappho102.biz, B1, 1, Lane 102, Sec 1, An-He Road) will appeal to those who enjoy live music. 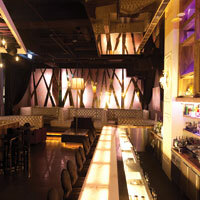 Regular all night jam sessions take place in this mellow lounge space where the scene is about appreciating soothing jazz, blues and world music while sipping on a cocktail. Meanwhile, The Bed II (tel: [886-2] 2733-2560, 9 Lane 171, Sec 2, Anhe Road) is an intimate hookah bar and restaurant filled with plush sofas and the heady aroma of fruity smoke wafting out of shisha pipes. For a smoky environment with a stronger tobacco kick, head back up north over to Cigar Gallery (tel: [886-2] 2505-6808, www.formosacc.com, 204 Fuxing North Road). This place offers an array of cigars ranging from extremely affordable for beginners to pricey brands for the more experienced and fat of wallet. Sports fans needn't worry about finding a place to catch the game. The Tavern (tel: [886-2] 8780-0892, www.tavern.com.tw, 415, Sec 4, Xinyi Road) is a popular sports bar that is packed with flat-screen televisions. Multiple screens placed by tables and lining the ceiling over the bar ensure none of the action is missed. The Brass Monkey (tel: [886-2] 2547-5050, www.brassmonkeytaipei.com, 166 Fuxing North Road) is another option for avid sports fans. Both these Taipei bars post the schedules for the events they will be broadcasting. 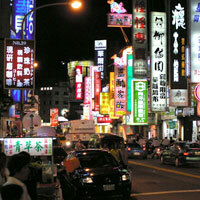 One of the first places most people think of for a fun night out in Taipei is the downtown area near City Hall. Within the span of a few city blocks are food, shopping and a lively clubbing scene that usually doesn't peter out until the wee hours. However, if you're looking for a place to party that is smoke-free, that will be a nigh impossible task as most clubs ignore the indoor smoking ban – especially during the weekends when you can expect a mad crush of people at the most popular venues. To start the evening off, sample the cocktails at Marquee (tel: [886-2] 2729-5409, www.marquee-taipei.com, 16-1, Sec 5, Xinyi Road), a spacious and chic restaurant lounge popular among socialites and celebrities. The lounge, which serves Western cuisine during the dinner hour, gives customers a sense of luxury with its dark interior and glowing purple hues. Across the street, in the underground level of the Taipei 101 building is Spark (tel: [886-2] 8101-8662, www.spark101.com.tw, B1, 45, Shifu Road), where many customers of Marquee end up spending the rest of their night. Spark is a wildly popular Taipei nightclub where VIP tables surround a central bar, and a glowing ceiling illuminates dancers’ shoulders while a fully lit dance floor glows underfoot. Barcode (tel: 0920-168-269, 5F, 22 Songshou Road) is another stylish lounge located a few blocks northeast on the second floor of the Neo19 building. Barcode occupies a corner of the building, which is used to full advantage with sweeping floor-to-ceiling windows. 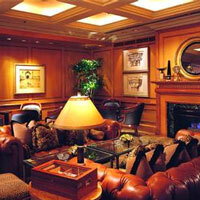 Two bars at opposite ends of the room ensure patrons never go too long without a drink. On the first floor of the same block is InHouse (tel: 2345-5549, www.inhouse19.com/inhouse/, 90 Songren Road), a restaurant lounge that has a relaxed feel to it with plenty of room to walk around. InHouse also has pleasant outdoor seating in an area enclosed by tall hedges, which help make the venue a tad more private. Nearby at Brown Sugar (tel: [886-2] 8780-1110, www.brownsugarlive.com, behind 101 Songren Road) music enthusiasts will find live jazz performances every night. The atmosphere is always lively and crowds usually have no qualms about leaving their seats to show off a few moves on the dance floor. Weekends, as evening slips into night, street corners of the Xinyi District are suddenly lined with dapper men and gussied up women queuing for entry into the hottest dance clubs. Although there are many different venues to choose from, pop, hip-hop and R&B are pretty ubiquitous at Taipei nightclubs. Room 18 (tel: [886-2] 2345-2778, www.room18.com.tw, B1, 88 Songren Road) and Lava (tel: 8780-3867, www.lava-club.com.tw, B1, 22 Songshou Road) both cater to a younger crowd and blast music with heavy bass beats to get the pulse pumping. Two buildings west in the ATT 4 Fun building is Stream Restaurant and Lounge (tel: [886-2] 7737-8858, www.stream-lounge.com, 10F, 12, Songshou Road). Stream's lofty location and outdoor balconies provides patrons with a place to step out for some fresh air while admiring the view of the city. Conveniently located on the ninth floor in the same building is Club Myst (tel:  0911-439-997, www.club-myst.com). However, not so conveniently, those without VIP access may have to go all the way back downstairs to wait in the perpetually long queue of party-goers who are also hoping to get into the venue. Meanwhile, Playing Hookah Lounge (tel: [886-2] 2749-5495, www.playing.com.tw, 133-2, Sec 1, Jilong Road) is a place with a very relaxed atmosphere for patrons to eat, drink and lose themselves in chocolate strawberry and lychee flavoured clouds of smoke while belly dancers provide the entertainment on Friday and Saturday nights. Different days of the week also mean different deals to enjoy, from an extra bowl of shisha to cocktails at discounted prices. The entire 12th floor of the Living Mall shopping center is devoted to nightclubs, including Muse (tel:  0980-234-000, www.muse-taipei.com, 12F, 138, Sec 4, Ba-De Road), a club with high ceilings, a spacious central dance floor and VIP seating areas lining the floor-to-ceiling windows. Keep in mind that Muse is only open on Wednesdays, Friday and Saturdays, so plan accordingly. Close by is Luxy (tel:  955-904-600, www.luxy-taipei.com, 5F, 201 Sec 4, Zhongxiao East Road), a place with deep bass beats so loud your chest will vibrate. Who needs a pacemaker? 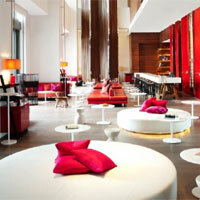 Luxy is an enormous space with three separate sections capable of accommodating up to a total of 2,000 people. It is essentially a hot spot for hip-hop, trance and electro house crowd, and it isn't uncommon to see a lot of scantily clad damsels showing off their figures on the dance floor. Host to a lot of performances by the most popular DJs and musicians, Luxy has held parties featuring artists such as Far East Movement, Snoop Dogg and Steve Aoki. Make a note of this popular Taipei dance club. Now if you're wondering how you'll stagger home after your Taipei nightlife binge, especially after the MRT system shuts down at midnight, don't worry. There is no shortage of taxis and cab drivers are usually hovering right outside the most popular clubs. Getting a ride should be a cinch – just make sure you remember your address.